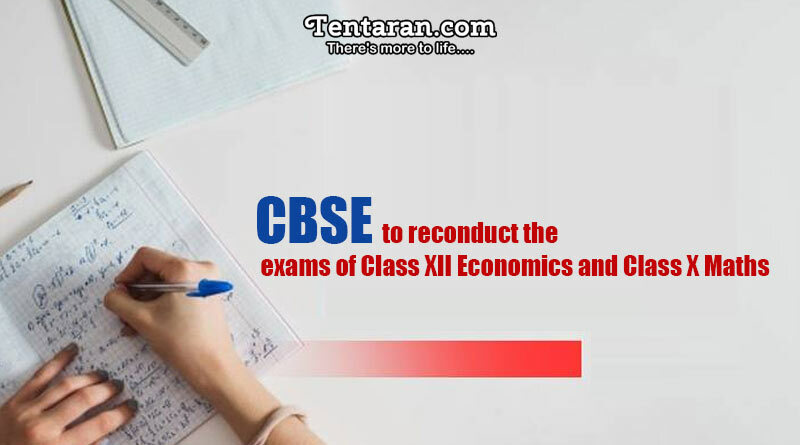 The Central Board of Secondary Examination (CBSE) will reconduct the exam of class XII Economics and Class X Maths examinations after the report of the paper leak. According to the sources, Class X Mathematics paper was leaked on the last night of the examination and it matched with the original one. The class XII Economics exam was held on 26th March, while the XMaths paper was held today (28-03-2018). “The board has taken cognizance of certain happenings in the conduct of certain examinations as are being reported. With the view to upholding the sanctity of the Board Examinations and in the interest of the fairness to the students, the Board has decided to re-conduct the examinations in the following subjects. Dates for fresh examinations and the other details shall be hosted on the CBSE website within a week,” said the statement released by the Board with the signature of the Controller of Examinations. Date of re-examination has not been announced yet and is expected to be released within a week. The announcement has got a mixed reaction from students with most of them feeling irritated over the additional number of days added to the already long date sheet. Many students have already started petitioning on change.org to stop re-exam. However, some of the students are feeling lucky and ready to make the best use of the second chance received. 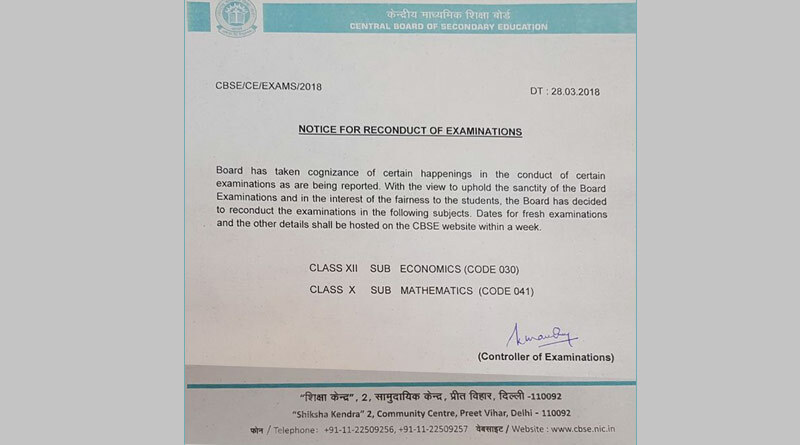 Earlier, CBSE board had denied any kind of the leak in Accountancy question paper by saying that all the seals were found intact at all the centers.